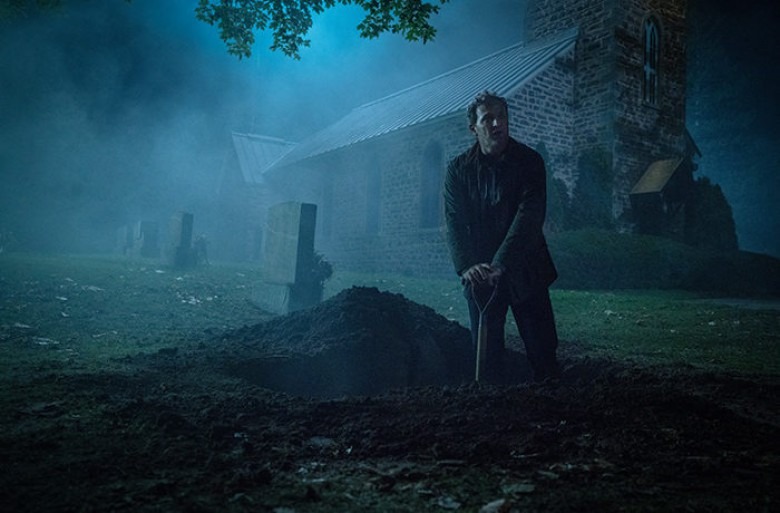 Jason Clarke as Louis in PET SEMATARY, from Paramount Pictures. © 2018 Paramount Pictures. All Rights Reserved. Remakes are often thankless jobs because you’re stuck trying to live up to or best your predecessor while also creating something wholly different. Most attempts based on literary works are able to fall back on the clichéd notion of “returning to the source” as though the first adaptation was inexcusably unfaithful. But when you’re following a script written by the novel’s author, that excuse holds zero weight. So Jeff Buhler (Matt Greenberg‘s draft was apparently changed enough to downgrade his credit to “story” only) had his work cut out for him having to tread over Stephen King‘s footsteps. And honestly, I give him credit for doing everything he could to make his Pet Sematary stand apart. Unfortunately, it also loses what made the property so good in the first place. Things don’t start that way, though. Directors Kevin Kölsch and Dennis Widmyerpaint with the sort of dread that naturally permeates nightmarish ruminations on grief. They strip away the cheesiness inherent to Mary Lambert‘s version due to its 1989 release and very intentionally play with expectations by initiating dramatic cues that mirror what we remember only to subvert them at the last minute. It’s a brilliant tactic that’s less manipulative than effectively distracting so the true scares can hit with as much spontaneity as possible for those already well-versed in Ludlow, Maine lore. We’re kept on our toes while awaiting the terrors to come—those quintessential King moments of “shine” and underlying themes. It’s therefore all the more disappointing when these earmarks are replaced by generic nihilistic gore. This occurs due to scaling back on the numerous flashbacks that revealed the psychological power of what’s happening. Rather than have a Missy to commit suicide or a cautionary tale about the last time someone buried a human out there in the tribal lands past the Creeds’ property (the filmmakers painstakingly ensure they never vocalize the words “Indian burial ground” despite having a map visually confirm that this is still the impetus behind what’s happening alongside the added throwaway flavor of the wendigo legend), the mystery of some unknown malicious force toying with the community becomes paramount. So the warnings of Victor Pascow’s (Obssa Ahmed) ghost are rendered pure atmosphere. These good people are being possessed by dark external entities to work against God, not their own heartache. The past is moot for the Creeds too. Louis (Jason Clarke) is just an overworked doctor taking his wife’s (Amy Seimetz‘s Rachel) advice to move to the country and spend more time at home. And while she’s still haunted by the childhood memory of watching her sister Zelda (Alyssa Brooke Levine) die of a horrible disease (with the guilt quotient increased immensely), its present-day impact is less damaging when her agency is seemingly taken away at every turn. We want to believe the question of life and death as it pertains to their young children (Jeté Laurence‘s Ellie and Hugo and Lucas Lavoie‘s Gage) is the central motivation for their actions, but Kölsch and Widmyer are too intent on creating an unseen monster to hold all the blame. Even their neighbor Jud (John Lithgow) has his teeth removed so he may become little more than a pawn hearing the call of evil. This isn’t a man who feels relieved to bring someone else in on the secret of that land’s power. He’s merely a puppet like the rest. As a result, tension is non-existent because we never see any of these characters as duplicitous enough to warrant it. We don’t fear what they may do to each other because we know the demonic presence is pulling their strings. Say what you will about the original film’s over-the-top machinations, at least everything bad that occurred was rooted in their insecurities and fears. That’s where the impact truly lies—in them acting on impulse rather than orders. 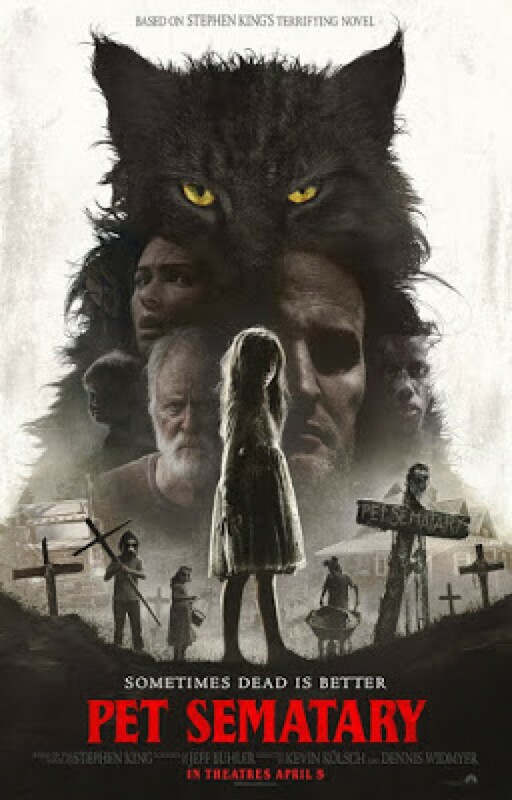 It’s a shame because the visuals are vastly improved and the mood pitch-black with children wearing masks as they wheel a dead dog to its grave and the time spent with Louis and Rachel’s undead child prolonged to have lengthy conversations that turn things from animalistic to the occult. The third act devolves so far from the psychological terror that every step of murderous intent arrives without purpose beyond blood. Grief is pushed aside for a cutely bow-tied ending as bleak as before, but much less potent. It shouldn’t be surprising, though, considering how much of King’s allegory is excised. The movements are the same (for the most part) and yet they can’t help ringing hollow. Better effects and a more severe tone provide no match against stronger writing. That’s what it all comes down to in the end. Buhler and company work so hard to take us in another direction that they’ve watered-down the finished product and turned what many call King’s darkest novel into a shell whose scares can’t cut deeper than the top layer of our skin. Mood only gets you so far before you’re trapped in a corner with no escape besides increased carnage. So as soon as a second body goes into the ground, we realize the premise has been exploited into becoming the film’s purpose rather than its catalyst. This Pet Semataryuses its characters so that its conceit can scare us when it should be the conceit that lets the Creeds frighten us by turning a mirror onto ourselves.